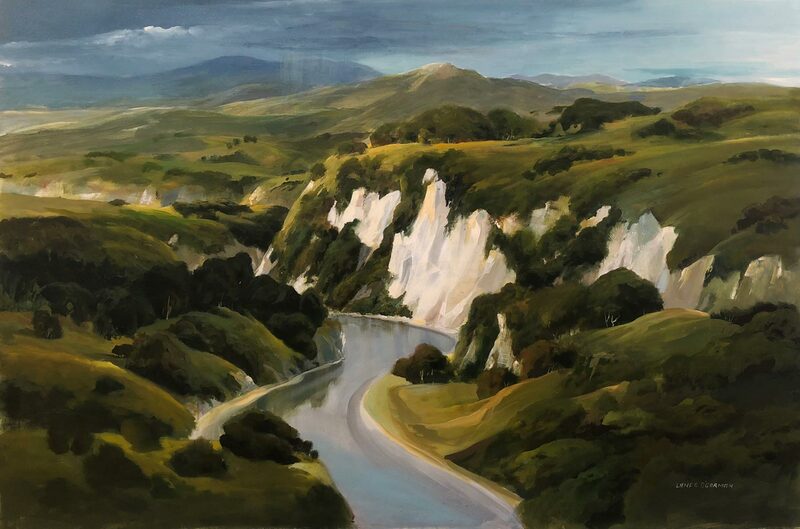 The green, green grass of home - New Zealand - is rendered anew in Lance O'Gorman's powerful contemporary landscapes. From the white chalk cliffs of the Rangiteikei to the Islands of the Gulf, O'Gorman captures land- forms and topography in a style distinctively his own. The experience and knowledge, acquired over five decades as a leading professional artist, shines through in this latest fabulous collection direct from the artist's studio and now on view in the gallery.